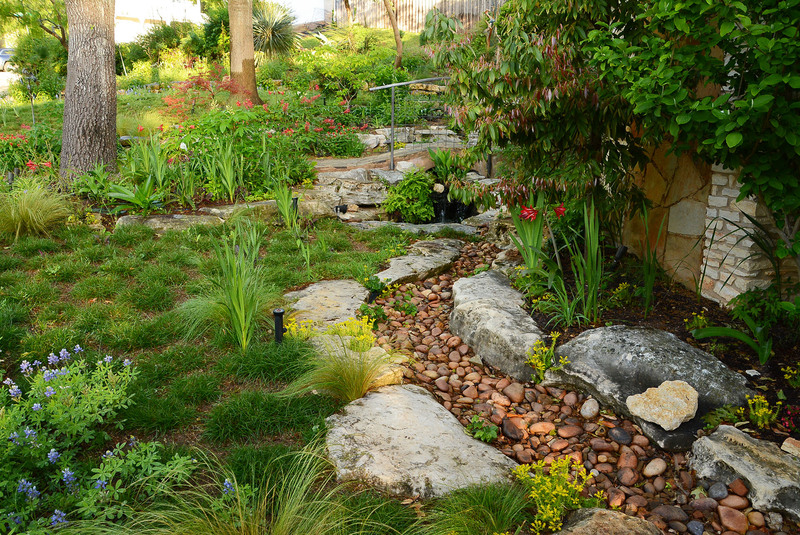 There are many nolinas for drought-tough, deer-resistant grassy texture. Members of the lily family, size and flowering habit varies by species. 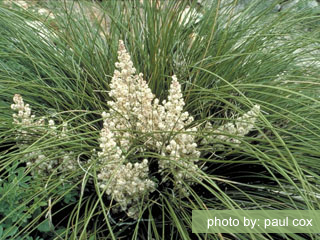 Nolina texana is also known as Texas beargrass or Texas sacahuista. It’s a great evergreen drought-tough plant in rock, decomposed granite beds, clay and caliche, but wants good drainage. This clumping, stemless member of the lily family grows to about 2.5 feet tall. It likes full sun but works in partial shade, too. 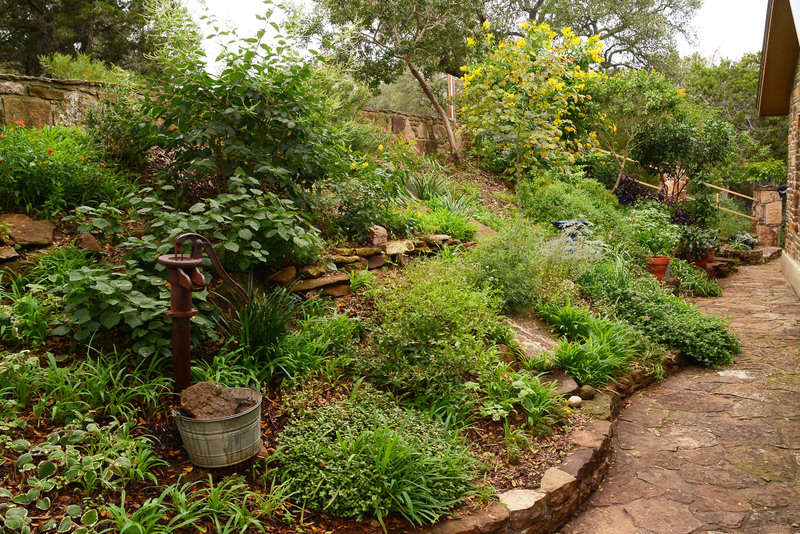 It does want fairly dry conditions, but give it some water if summers are totally hot and dry. It flowers from late spring to summer, clustered in the heart of the plant. You’ll need to cut back the flowering stalk as close to the base as possible once those flowers are spent. Another nolina is N. lindheimeriana. This one is known as Devil’s Shoestring. Its long, thin leaves have fine teeth along the edges, so if you’re putting it near a sidewalk, don’t put it very close. You may see this plant listed as only getting about two feet tall and wide but that’s very deceiving. If the flower height is also calculated in with that, this plant can be closer to ten feet tall and four feet wide. N. lindheimeriana has a taller inflorescence than N. texana, rising a few feet above the plant.